They say 10,000 hours is how many hours you need to do something to master it. 10,000 hours of harmonica? Master of harmonica. This is why I’m so EFFING GOOD at sleeping. I’m 29 years old and assuming I’ve slept around 8 hours a night, I’ve slept nearly 85,000 hours. NAILED IT. In the culinary world, with the exception of eating (roughly 32,000 hours), I’ve only ever done one thing even remotely close to 10,000 hours. That is bake chocolate chip cookies. I can’t approximate how many times I’ve made them in my life. I just remember that I started making them when I was in elementary school (Beaches Episcopal School, where you at!?!) and I really never stopped making them. *Cookies probably can’t cure ebola, but it certainly couldn’t make ebola worse. Please note, I am not a doctor. I don’t do anything fancy with my chocolate chip cookies, but I swear to you they’re practically perfect every time. They’re puffy and chewy, yet super light. I do have 2 things I do every single time that give me success. 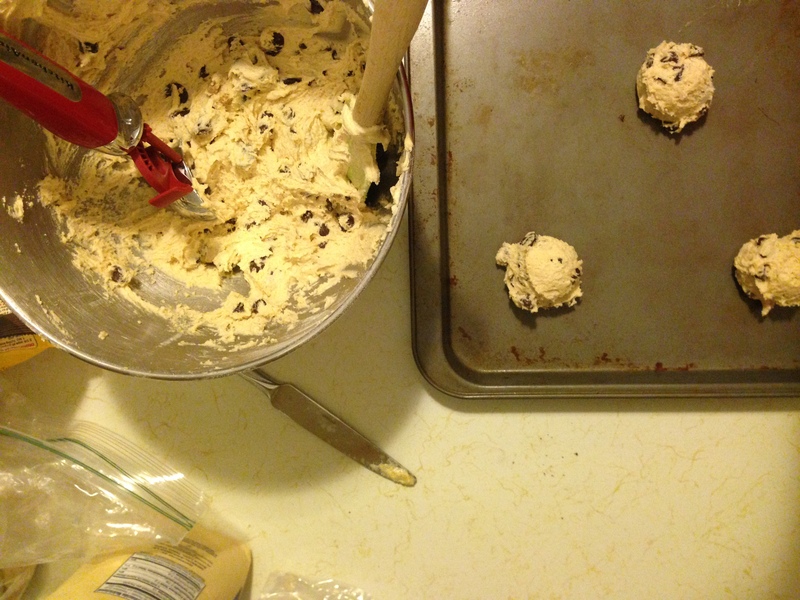 I use an ice cream scoop to form the dough. Every time you get big, beautiful cookies. So if you want chocolate chip cookies that cure ebola**, try this recipe from my grandmother, Nestlay Tollouse. **These cookies have not been scientifically proven to cure ebola. 1 cup (2 sticks) butter, softened | I almost always microwave it. Good for you! 1 cup chopped nuts | Listen, this is a personal choice here, but I think nuts in chocolate chip cookies are disgusting. Their texture gets weird. Eliminate them and focus on the perfection. Combine flour, baking soda and salt in small bowl. Whisk ingredients together. Beat butter, granulated sugar, brown sugar and vanilla extract in large mixer bowl until creamy. Add eggs, one at a time, beating well after each addition. Gradually beat in flour mixture. Stir in morsels and nuts (yuck). Drop by ice cream scoop onto ungreased baking sheets. FOR HIGH ALTITUDE BAKING (5,200 feet):Increase flour to 2 1/2 cups. Add 2 teaspoons water with flour and reduce both granulated sugar and brown sugar to 2/3 cup each. Bake drop cookies for 8 to 10 minutes and pan cookie for 17 to 19 minutes.